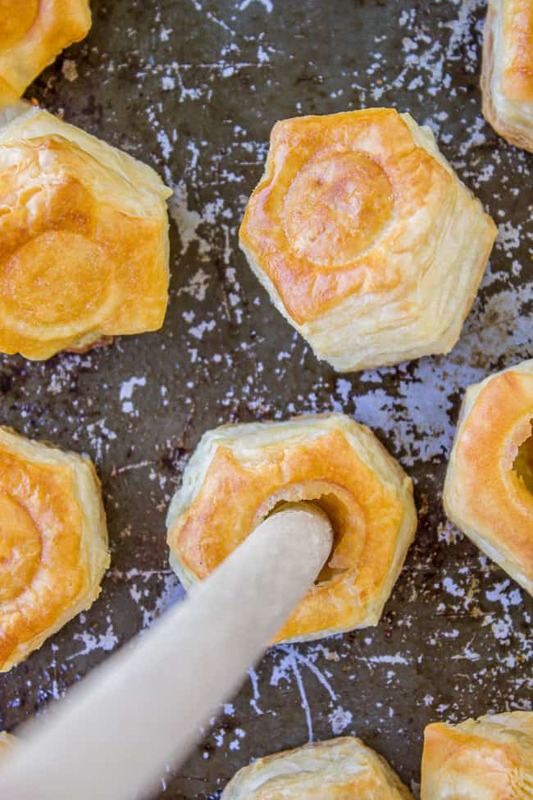 These bite-size puffs of pumpkin goodness have got a lot going for them, but pie-construction is not one of them. 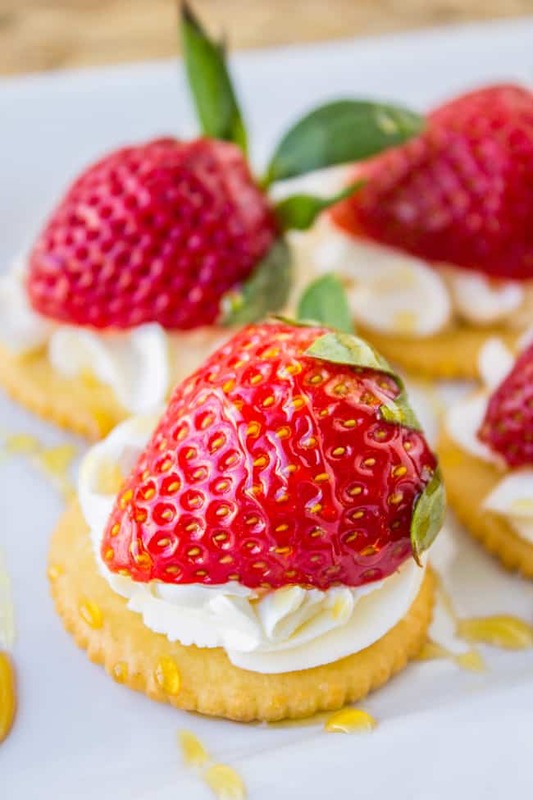 These could either be a quick appetizer or the easiest dessert ever! So you know how everybody always has that One Neighbor? Growing up ours was the guy who painted a giant mural of mallard ducks on the front of his house. Or maybe WE were That Neighbor. When I was in high school my parents accidentally painted their house pink. My mom called it “mauve” but I’m just being real Mom, it was pink. There it is, for all to enjoy. I always wanted to live in the red light district…wait. Do you have any weird neighbors?? We are in that stage of moving in where enough stuff is unpacked that we can function, and you realize that all the remaining boxes have the stuff you don’t really need. Someone told us that any box you don’t unpack after 6 months goes on the giveaway pile. Should we do it?? I might get rid of a lot of Eric’s books that way. We did add one more thing to our list of posessions: Eric got me the new Cinderella movie for my birthday this week. I’ve had it on repeat the whole time I’ve been working on this post. I’m such a sucker for that story! It was always my favorite. My birthday was awesome, by the way! I got so many messages from people, and at dinner that night I told Eric, you would not believe how many people contacted me today! And he looked just a little too smug. And then he admitted that he may have gently reminded some people. Sorry to any of my friends who were coerced. It certainly made my day though! I guess you guys are ready for pumpkin season! I posted this Easy Pumpkin Pie Cake last week and was surprised by the attention it got, it’s already up to almost 4k pins. If you are ready, so am I! Here is another super easy pumpkin pie alternative. It’s quick to throw together: bake the puffs, whip up a cream cheese pumpkin filling, then toss it in and serve. 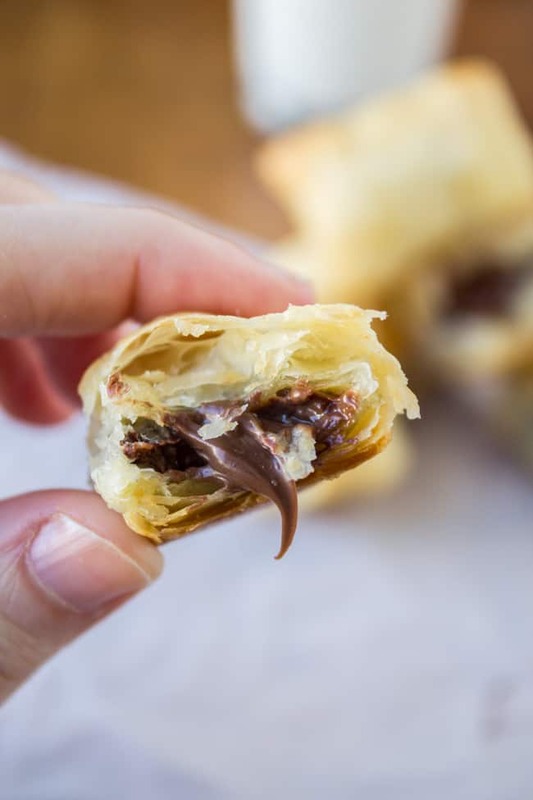 Have you guys tried those puff pastry cups? They are so good for stuffing with just about anything. This would be great to serve up on Halloween, Thanksgiving, or any other get together you’re heading to this fall. Or maybe just at home alone on a Wednesday night. Bake the pastry cups according to package directions. I followed the egg wash instructions, but you can totally skip that step. 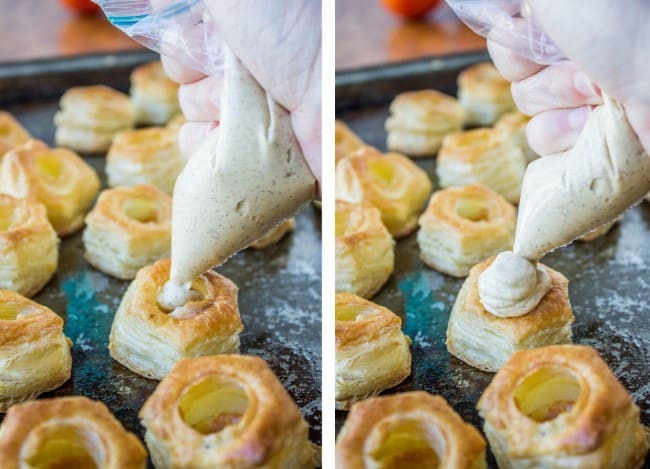 Poke a hole in the center of each puff with the end of a wooden spoon and let cool. Meanwhile, in large bowl or stand mixer beat together the cream cheese, pumpkin, cinnamon, nutmeg, ginger, cloves, salt, and powdered sugar. Spoon the mixture into the cooled cups. Or you can pipe them in: I like to place a ziplock in a cup and spoon the filling into the cup. Then snip a corner and pipe (see photo). Garnish with a pecan half, toasted if you have time. These taste really good with cinnamon-sugar sprinkled on top! Feel free to add whatever amount of spices you like. It's really just according to taste! Other quick and easy appetizers to fall in love with! 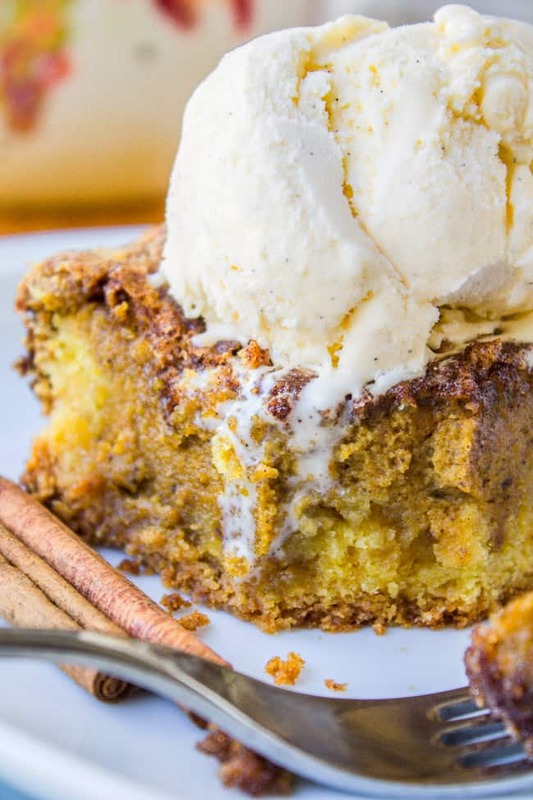 And in case you missed it last week, Easy Pumpkin Pie Cake! 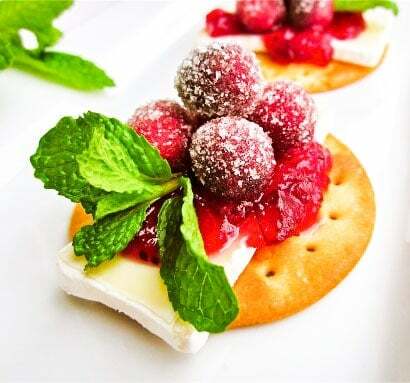 Other sweet appetizers for fall! Pumpkin Popcorn Balls from Mom on Timeout << are these not so cute?? That light is stinking hilarious…but then it isn’t on my neighbors house. That’s pretty strange! 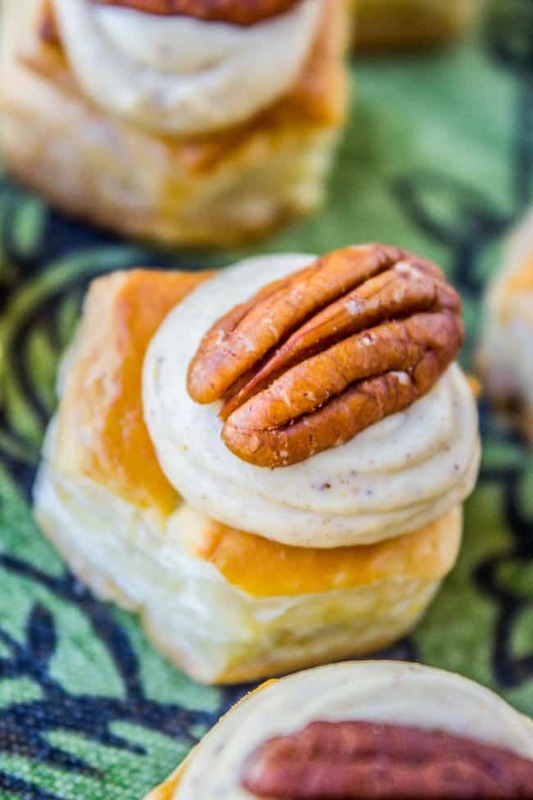 Love these fun easy pumpkin treats…I say keep the pumpkin coming! I’m loving it all!!! Whoa! A stoplight?! I live in the country and unfortunately our neighbors don’t believe in fencing in their animals. We are always chasing off their goats and horses. 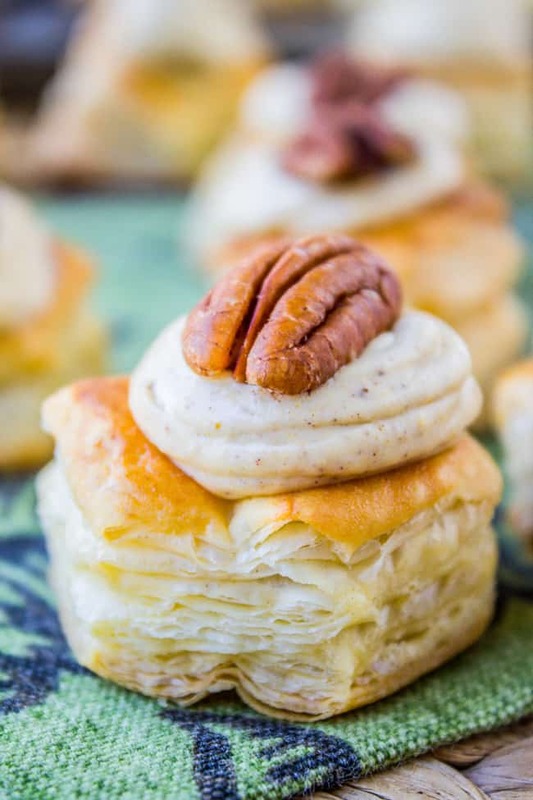 I love these puffs and how quickly I can make them to satisfy a dessert craving! I served your Pumpkin Pie Cake to my Bunco Babes this week and they absolutely went wild over it. I must say, it was beautiful and delicious. Thank you for sharing. That light is so weird! Anyways, love these puffs- too cute! Our neighbors behind us, the guy is always out shirtless running around with his dogs. My daughter’s hate it, lol! These puffs are so dang cute! red light district…. :) nice. I think you win the neighbor contest for sure. but these puffs are imply amazing!! moving is a great way to get rid of stuff you thought you needed but then realize you have not used in years. I can totally relate to weird neighbors. We have one on each side of our house, we’re always hoping to see a for sale sign up in one of their yards. I can already see I would eat about 5 of these puffs, delicious! Oh my gosh, Karen, I still have 20 boxes and tons of clothes to sort through. I just want to pay someone to put everything away for me! I love that rule of giving away anything that doesn’t get unpacked after 6 months. Maybe that’ll be the only way I can get rid of all my knitting stuff, which I haven’t picked up in a year! I’m so confused by the stoplight. Do people actually cause anybody to stop in front of the house? These puffs also need to happen in my kitchen. They look soo good! Dear Karen, I might BE that weird neighbor. I hang a beautiful antique candle-lit lantern from a tree branch on our walkway for Christmas parties. I’ve always loved it, makes me feel like the party has BEGUN when I light that candle. Last season I was asked how I liked living in the red light district. It was my sister who asked. (Ouch!) I’d never thought about the fact that the lantern has a red glass globe…..I still love the lantern but not sure if I’ll be lighting it this season. 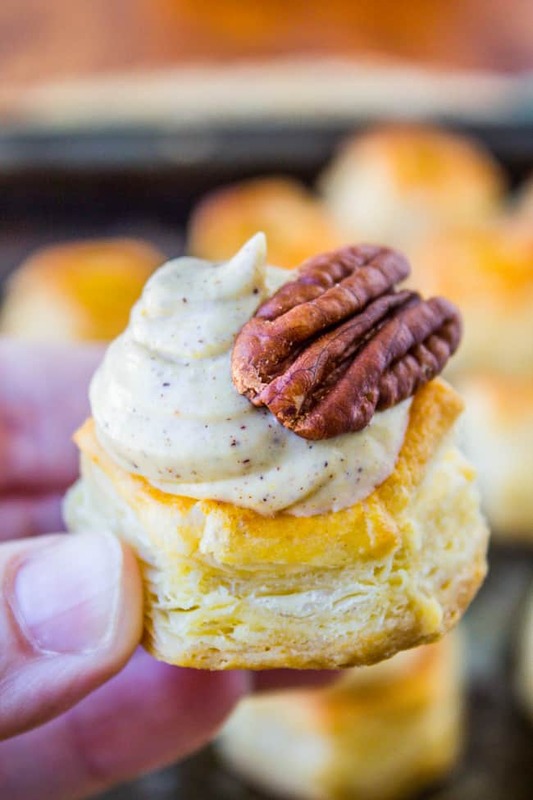 Your pumpkin puffs are exquisite and I’m already thinking Thanksgiving dessert table on those….have a great weekend!!! Well if it’s a pretty lantern that’s totally different! And I say it’s your house, do what you want, right? And I am totally in the mood for Thanksgiving food too, hence all the pumpkin pie substitutes! These pumpkin puffs though, they look so good, i would love a dozen right now! Thanks Marye! I’m just glad it’s not right outside my house. I don’t really mind since it’s around the corner :) I’ve got to check out this Hatch Chili Cheese Bread you just posted! A real, live stoplight? We did have a neighbor with a working lighthouse in their front yard. That sucker was annoying. The light would beam right through the front windows every evening, like 500 million times! Yes, I’m so ready for pumpkin and have been baking like crazy with it. Bring it! Love these bites. WHAT!! Okay you win for Most Annoying Neighbor, Jennie. I would have my beebee gun allll over that lighthouse., haha! 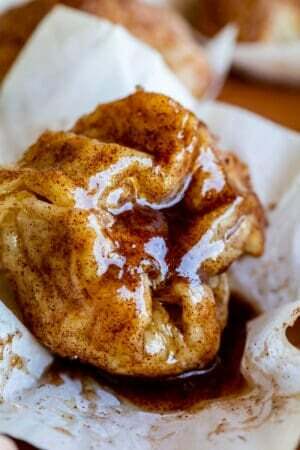 And these pie bites are my kinda dessert as pie’s are not my thing! I say stoplights in your garage are a cool mancave statement! In the yard, not so much. :) These are perfect if you are not a pie person! Ha! The red light district–too funny! You never know what your neighbors will be like! And Cinderella is the perfect birthday gift. That movie is just the best. These little puffs looks fabulous as well. Now you can sit at home, feet up, watch a movie and eat cream puffs HA!! That sounds like the perfect start to my weekend Kristen!! :) Cinderella is just the best right?